See the gallery for quotes by Ice T. You can to use those 7 images of quotes as a desktop wallpapers. I've never read for a movie, I've always been given them. 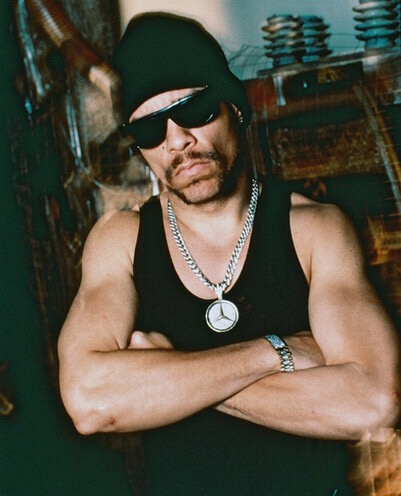 Ice-T in the music has done some outrageous things. If I'm going to be a jazz player, I need to understand Miles Davis. If you're really a rapper, you can't stop rapping. My father's family came from Virginia and Philadelphia. He wasn't a brother who talked a lot. He was a workingman, a quiet, blue-collar dude. Oh man, nobody is as tough as Mr T. Ice T is pretty tough though as well. So from an actor's perspective, you really have no idea how you're acting. So you don't have to take us too seriously; I mean, we're already intimidating enough on stage. The best way to listen to the album is to put it on, get some Moet, lay back with your boys, and kick it. Ultimately I am happy that everybody is embracing hip hop and the sounds from the streets. We have groups that do that, but I can't rap with the mentality of an 18 year old when I'm in my 30's. When you start a business, go for the lowest hanging fruit. You have to come in on a professional level to make it, otherwise you just can't get into rap. A lot of the younger kids now can rap, but they're scared of the crowd. Mastery of that stage is an MC. I don't know if you've seen any great MCs on stage but when you do it's like wow, this is more than the words to rhymes. I don't feel that rap has been respected as an art form. Because people have seen rappers rap off the top of their heads, they don't think it is difficult. I think everybody wants to redeem themselves after they've done something that might be considered negative. I don't think anyone wants to go to the grave negative. I think when people say 'real hip-hop,' they want it more buried in the streets. They want it more connected to the streets and the grime and the roughness of the streets. They don't want the fluff. I was born in Newark, New Jersey, and grew up in Summit, an upscale town in north Jersey. There was this tiny area of Summit where most of the black families lived. My parents and I lived in a duplex house on Williams Street. I'm at a point where I don't have to wait for the income from the record to survive, so I'm in a comfortable zone, but I'll make rap records as long as I feel I have something to rap about. Any New York group can come to L.A. and sell out every show, but an L.A. group who goes to New York might not do the same because the audience hasn't been introduced to the group. Hollywood has its own way of telling stories. I was just telling stories that I was familiar with. And it's what I want to do in the future: I want to take my audio cinema and put it on the screen. Much more quotes by Ice T below the page. I have no hatred for cops. I have hatred for racists and brutal people, but not necessarily the cops. The cops are just doing what they're told to do. I started rapping before anybody had ever bought a car from it. It was truly about the art form and the culture, more so than now, where it's a successful way to make money. Back then you had to be doing it because you liked it. If I do a song where I'm angry, when it's time to perform it live I'm not mad, I'm happy. I'm at a concert. But I have to somehow drum up that rage. That's acting. Jay-Z is like a rap-savant, he doesn't have to write the rhymes down, he can create complex raps in his head. I mean he does memorize it, he just doesn't write it down on paper. He doesn't freestyle onto the track, it's all thought out. Military is a great place for a jock. That's the first thing they test you, they test you physically. If you can run, if you can do the pushups, it's not as hard a transition. If you can't do that, you're going to have a problem because they're going to really work it out of you or work it into you. 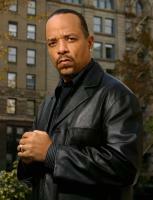 No, I'll stay Ice-T. This is what got me here, I'm always going to stay true to that. If it weren't for hip-hop I wouldn't be doing all these other things. The music led to the acting. But movies aren't something you can just will yourself into. Someone has to choose you, and you have to be quite fortunate to be chosen. Well, I am very happy that I was able to play a part in bringing music from the streets onto the radio and into modern culture, I worked very hard and always believed in the sounds I was creating. You have the core hip-hop, which would just be beats and breaks, more something like what you hear with DJ Premier. Then you get into the more highly produced hip-hop, which is something like what DJ Khaled does. But at some point, it starts to get kind of pop. If somebody wants to kill people, they don't need a gun to do it. Redemption just means you just make a change in your life and you try to do right, versus what you were doing, which was wrong. The right to bear arms is because it's the last form of defense against tyranny. I've never been competitive with anybody but myself. It's just that when you heard hip-hop, no matter where you were, it was a culture that kind of made you want to try to be part of it. Whether you thought you were an artist, whether you thought you could be a DJ, whether you thought you could breakdance, or whether you thought you could rap. It was the kind of culture that had a lot of open doors. AIDS is such a scary thing and it's also the kind of thing that you think won't happen to you. It can happen to you and it's deadly serious. I started writing rhymes first and then put it to the music. I figured out I could lock it to the beat better if I heard the music first. I like to get a lot of tracks, put the track up and let the music talk to me about what it's about. As an actor, you can do what you want with your role. That's why they hire you; to take the role and make it real. If it sells, it sells. If it doesn't sell, I'll go make a movie. When I first got into the rap game, I had an early dream of unifying rappers. A good emcee will rhyme a lot of different ways. Don't limit yourself. An MC is somebody who can control the crowd. An MC is a master of ceremonies so not only can you say your rap, you can rock the party. As long as I'm around the cats in the hip hop scene, they'll throw me a track and I'll write a rap over it. I ain't got no beef with east coast, I think it's just being hyped up. I couldn't possibly have lived all the things that Ice-T on the records lived. I don't have to put out another rap record. I can do it at my casual pace. I have to grow with my audience. I mean rappin' to me is easy, it's something you can do over a week. I want to be able to say that a rap career could be ten albums. I'll never sell 14 million like Hammer, I just wanna do a good Ice-T show. I'm a big fan of all styles, even Biggie and Wu-Tang, but I gotta do my thing. I'm competitive in that I would like to outsell my last record. I'm on the front line and I am a rapper.